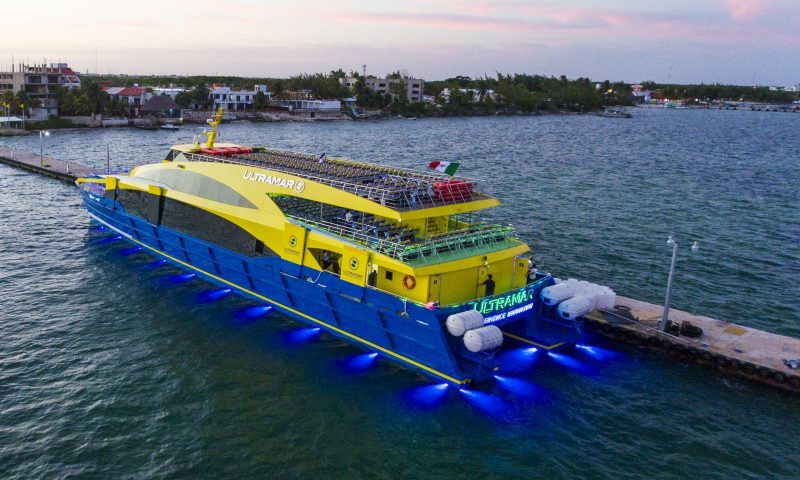 Discover Puerto Aventuras. An exclusive and luxury place for the lovers of resting and pleasure. 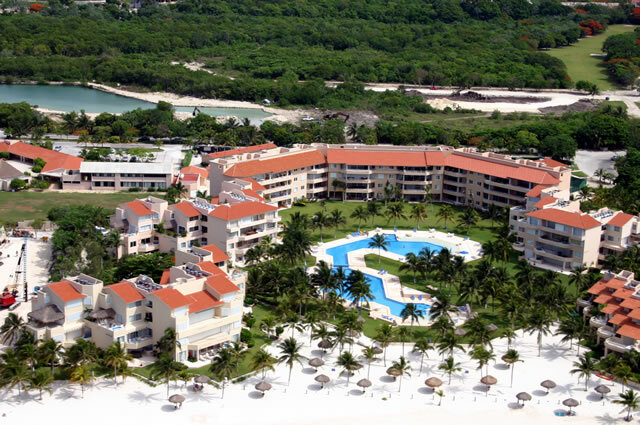 Puerto Aventuras is a community located in the municipality of Solidaridad in the State of Quintana Roo. in the Riviera Maya. 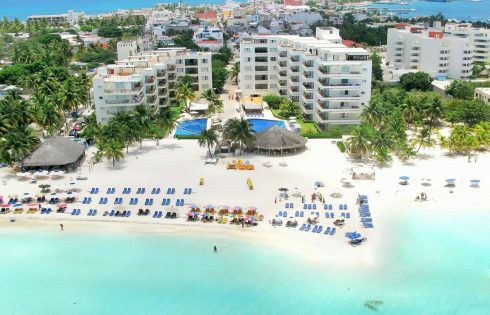 It is located 55 miles away from Cancun and just 14 miles from Playa del Carmen. It had a 2010 census population of almost 6,000 inhabitants, and has an elevation of 30ft above sea level. 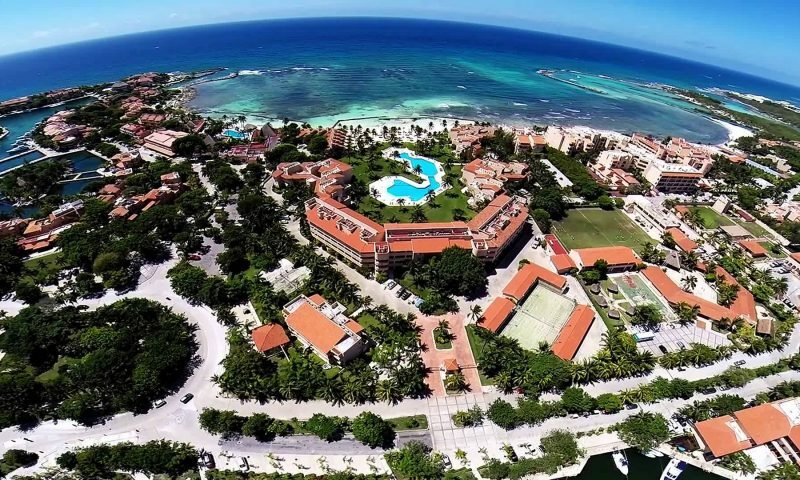 It is divided in two majors areas: The residential area and tourist development, and the town Puerto Aventuras where local people live. Due to its strategic location, It is considered one of the best places to vacation because it is surrounded by beautiful beaches, cenotes, archaeological ruins (Tulum, Coba, Chichen itza) and theme parks (such as Xcaret, Xel ha, Xplor among others). 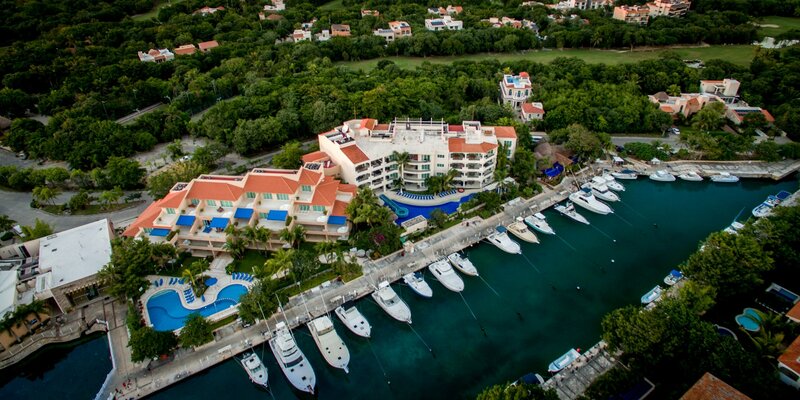 This quiet place also has the most complete and deluxe marina in the Yucatan Peninsula that caters to the international and national boats coming into its port. 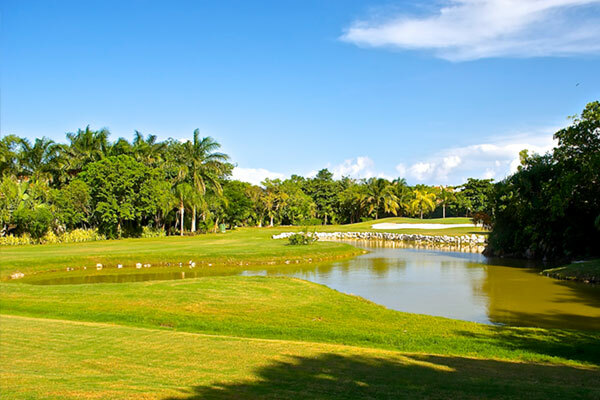 Beautiful beaches in front of the Caribbean Sea and a famous golf course with 9 holes, 36 pars and designed by Thomas Leman in 1991. There are also a tennis club, school, religious temple, shopping area, museum, shops, restaurants and bars. 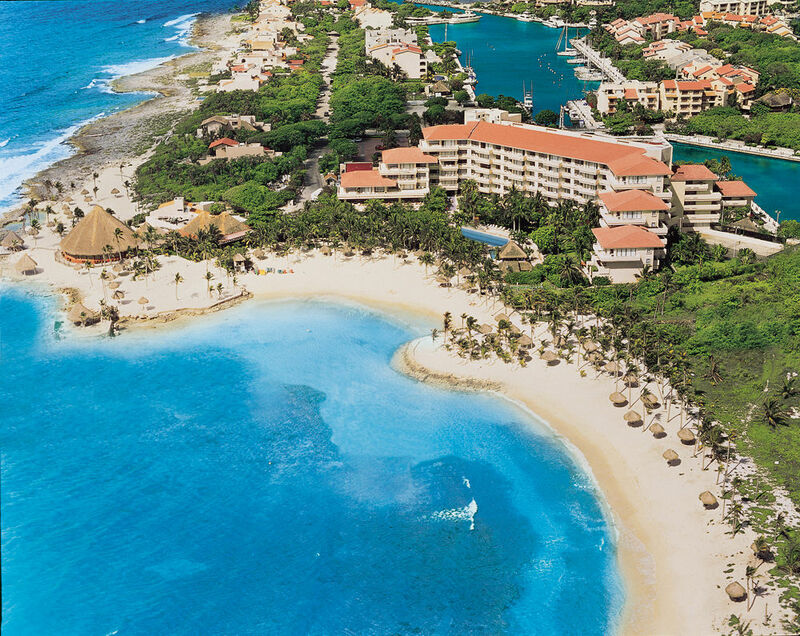 Puerto Aventuras offers a wide range of vacation accommodations from condominiums to hotels and luxury beachfront villas. The place offers also activities for those who seek rest and enjoy nature as for those who venture into the nautical world and explore the resources that nature gave this place. Among the activities you can do in Puerto Aventuras are: Scuba Diving, Snorkeling, Fishing, Golf, Tennis, sailing, swimming with dolphins, nightlife or just swimming and sunbathing on the beach. X cajum Cenote. One of the wonders of Nature. Cenotes (sinkholes) are treassures of Mexico and are located in the Yucatan Peninsula. Can be counted by thousands in the zone. 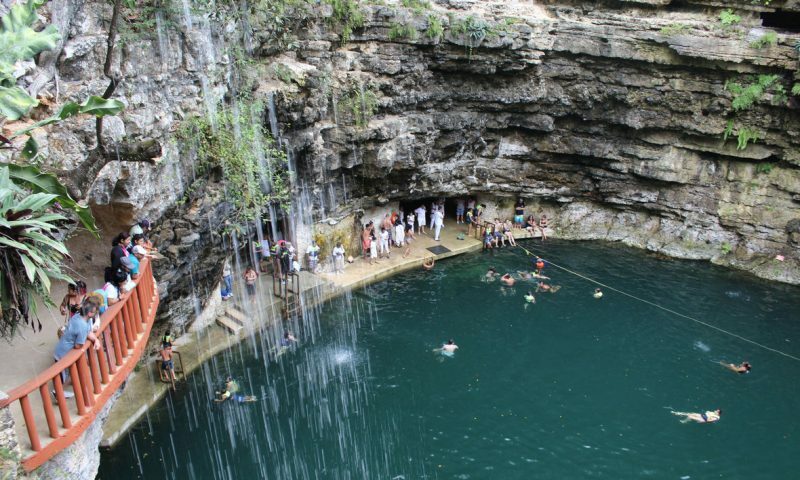 The Cenote X cajum is into the 10 most beautiful Cenotes in the Peninsula. Due to its height, the people need to go down several meters underground to enjoy its blue waters full of fauna. This Cenote is near Chichen itza, which is considered the most important archaeological zone of the Mayan culture and declared one of the new seven wonders in the world. If you are planning to visit this Mayan Ruins we recommend you the Private service as the best choice to visit both places. 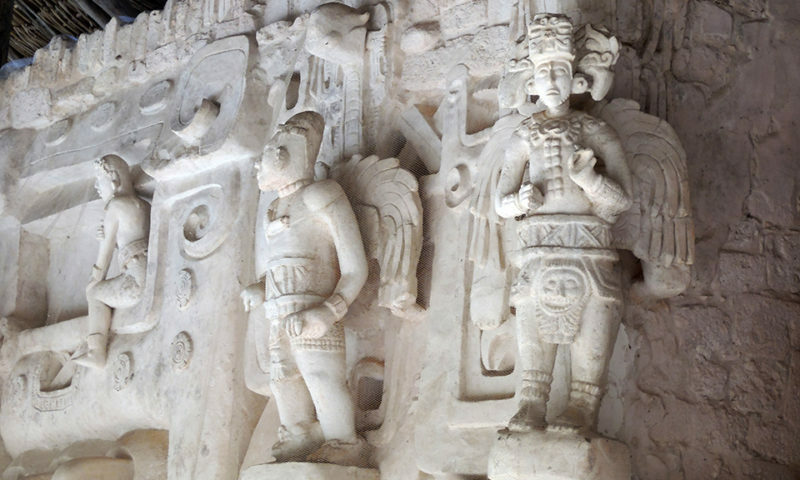 https://www.canadatransfers.com/private-tour/chichen-itza-private-tour/ Also on this service you will have the chance to visit one Colonial city named Valladolid which is considered as a city full of cultural wealth. As we said.There are many Cenotes located around the area to visit. However X cajum stands out for its beauty and few visitors which makes it, a very quiet place with no crowds. Its fresh and crystalline waters are a delight to swim. So we recommend you on your next visit to Chichen itza don forget to include in your program the visit to Cenote X cajum. 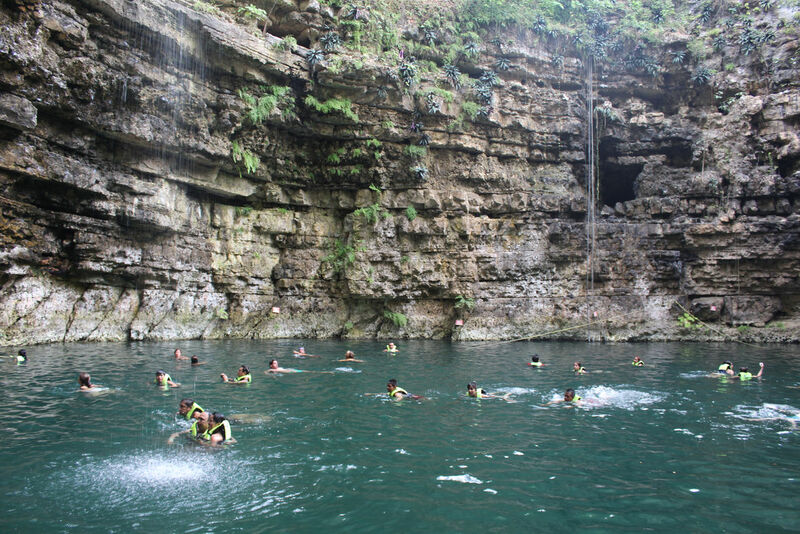 Many of these Cenotes are now protected by INAH, the Mexican goverment’s archaeological and historical protection organization. 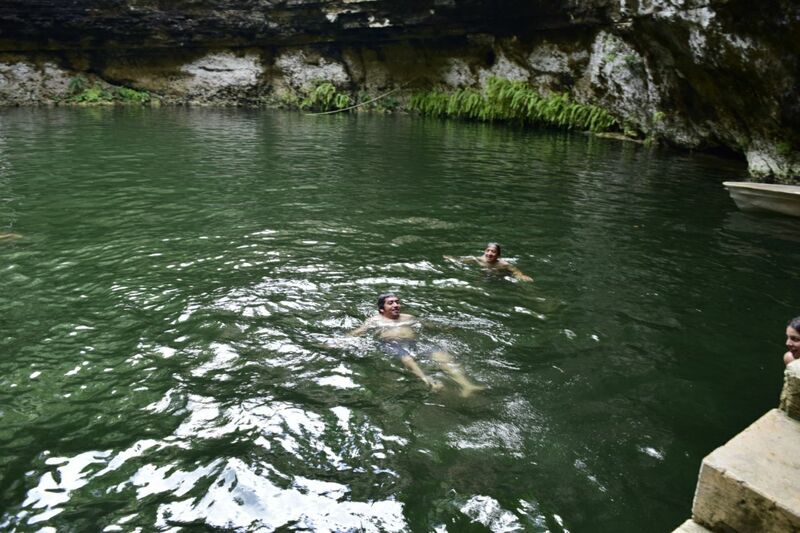 One important thing you should know is about the use of biodegradable sunscreen to get into the Cenote. 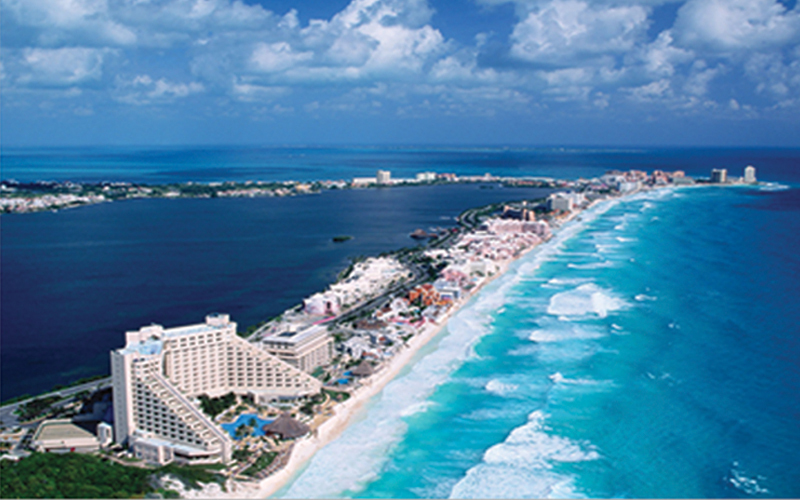 There are Interesting facts about Cancun that is good to know. 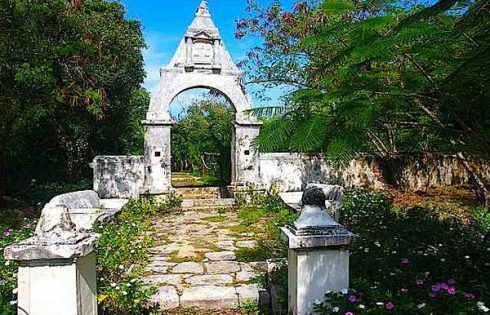 It is located in the state of Quintana Roo, in the Yucatan peninsula; this great tourist destination is part of the grand Mayan civilization and because of its importance at world level is considered as the entrance to the Mayan world. This territory is characterized by the infrastructure, modern entertainment centers that are constantly renewed, flora, fauna and a wonderful philosophy of service among others that rival holiday destinations around the world. 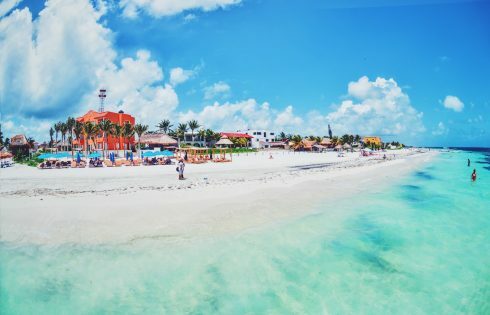 Other Interesting fact about Cancun is that it was created specifically for tourism purposes in the mid-60’s, and managed to satisfy with Riviera Maya about 15 million tourists a year. Its origins date back to 1967, when the Mexican government recognizes the importance of this region for tourism purposes, due to its year-round warm weather, astonishing natural beauty and of course easy access, in a short time was the best option of the country. 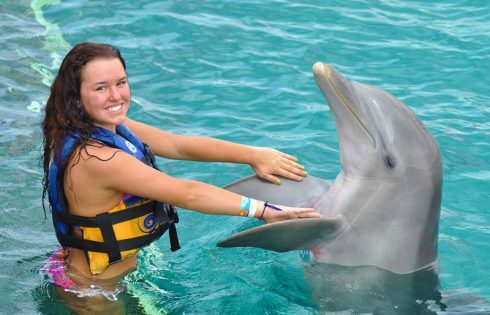 Undoubtedly this paradise does not disappoint any kind of tourist, apart from rest and entertainment we can highlight adventure tourism and sport, so that only in Cancun there are 5 golf courses, part of the second largest coral reef of the world, is world renowned for snorkeling and deep diving in the sea, cenotes and underground rivers. 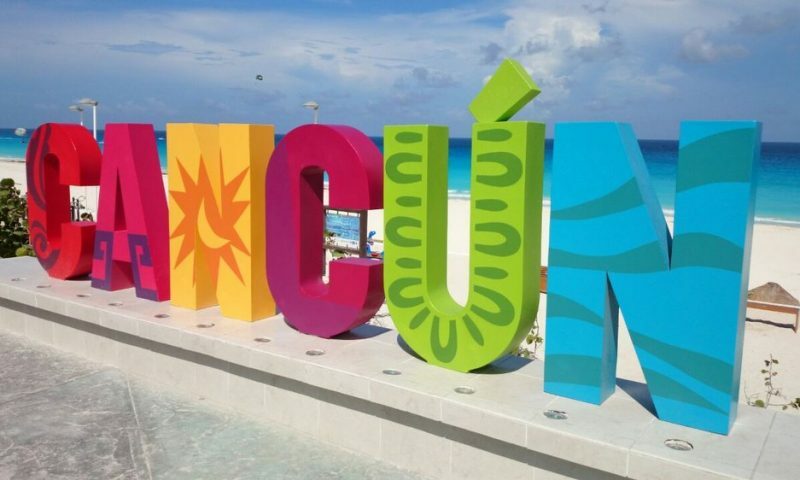 Cancun comes from the Mayan word kaan kun, which translates to snake nest, is located more than 1800 km from the country capital and is the most populated city in the state of Quintana Roo, with about 1 million inhabitants. 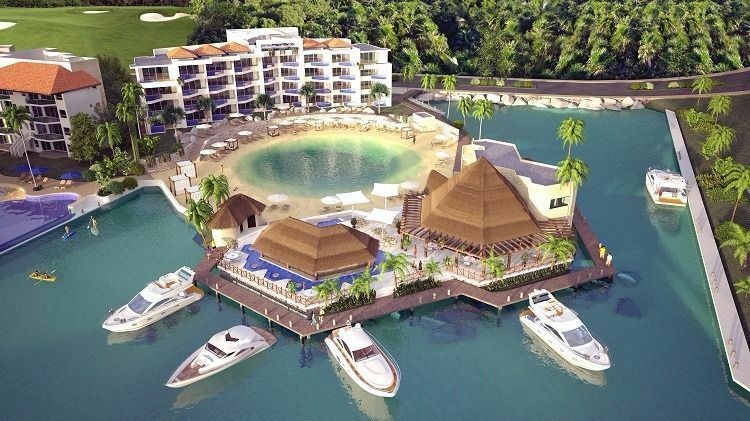 Its large scale development dates back to 1974 and has 22 km of hotel zone located between the Caribbean Sea and a lagoon. Official foundation April 20, 1970. Cancun International Airport is the second most traveled in the country after the capital, has 3 terminals and receives flights from all over the world, highlighting the United States, Europe, Canada and South America. 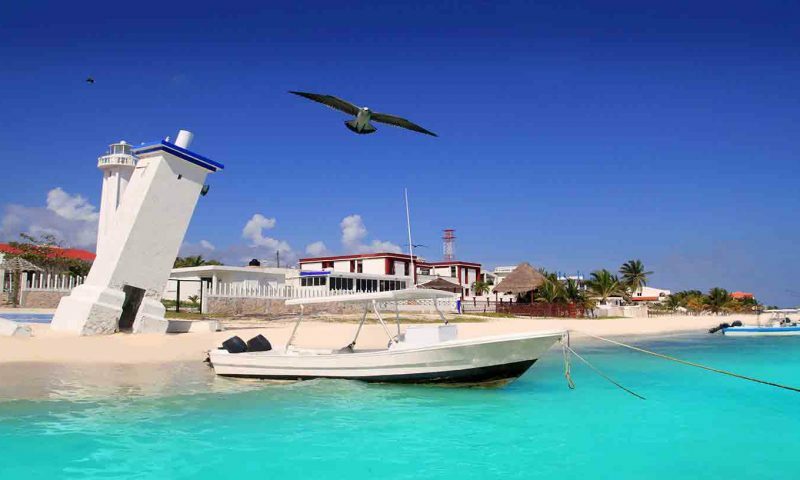 Puerto Morelos is a quiet and friendly fishing village that is located 22 miles from the city of Cancun. Its bohemian atmosphere and full of tranquility on its beaches and its streets, attract visitors from all over the world, many of which have made it their home. Certainly when you visit it will also seduce you with its charm of natural beauty and hospitality. HOTELS: The lodging in Puerto Morelos has a variety of offers for all budgets ranging from guest house to luxury all inclusive hotels. RESTAURANTS: Puerto Morelos restaurants during the day offer a variety of fresh fish and seafood located on the beach. During the night you can choose among many restaurants, cafes and loncheries located around the main square. 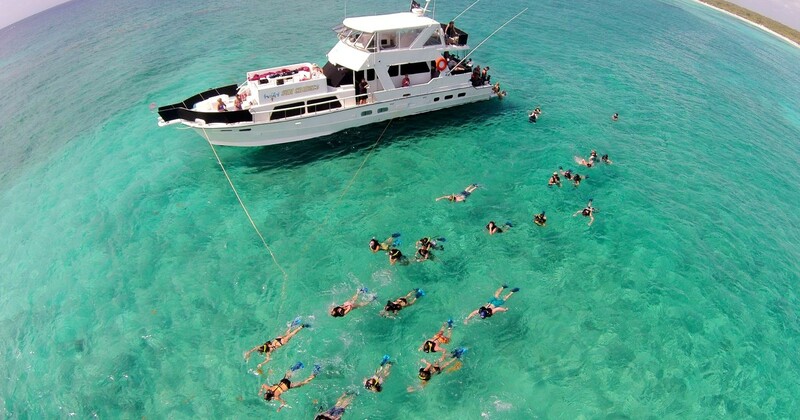 ACTIVITIES TO DO: The coast of Puerto Morelos is part of the Marine National Park, which makes it ideal for diving and snorkeling. Fishing is also an important activity with a lot of marine fauna. There are also many ecotourism excursions; Mountain bikes, ziplining through the jungle, exploring the cenotes or getting to know the local wildlife. 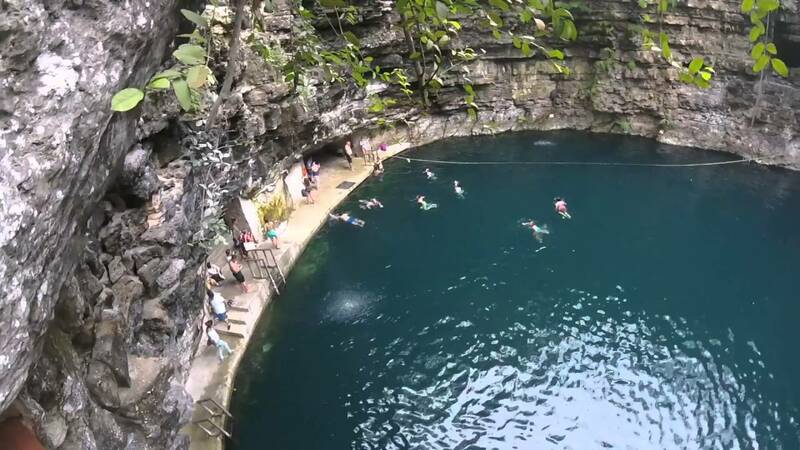 THE CENOTES ROUTE: This route is made up of 26 miles of road connecting the towns of Puerto Morelos-Central Vallarta-Leona Vicario. Along this route you access to several cenotes, which are nourished by underground rivers. 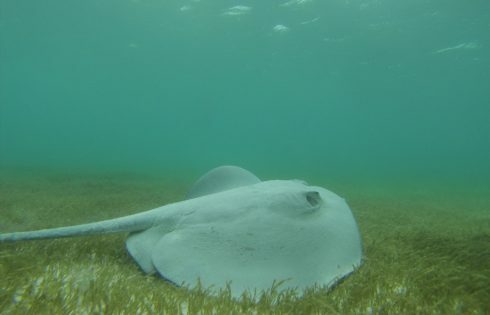 Almost all of them can be visited and swim in its waters surrounded by a lush jungle. In this same route is an ecological recreational park that has zip lines, bicycles and access to a cenote. ZOOLOGICO DE CROCODRILOS: One mile from Puerto Morelos is a crocodile farm of various species and sizes. Also in captivity can be observed boas, deer, spider monkeys, ocelots, being possible to interact with some species. HORSE BACK RIDING: Three miles away is a coastal ranch where you can go horseback riding in the jungle and coast. 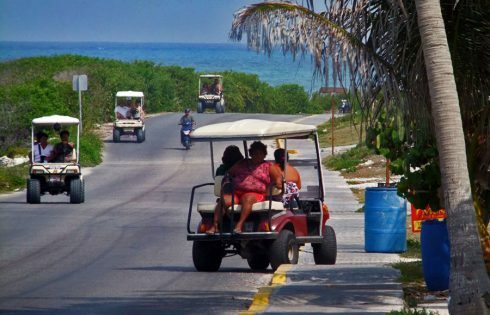 ATV’s: In the town of Puerto Morelos you can rent four-wheelers and take the route along the route of the cenotes. CYCLING: Whether in the jungle or in the village you can do mountain biking. Since vehicular traffic almost does not exist. FISHING TOURNAMENT: This is held every year at the end of May and is a high-level fishing tournament. MUSIC FESTIVAL: In the house of the culture of Puerto Morelos frequent festivales of music are realized in the main square. THEATER FESTIVAL: Every year during the month of April there is an international theater festival in front of the sea, organized by the house of culture. 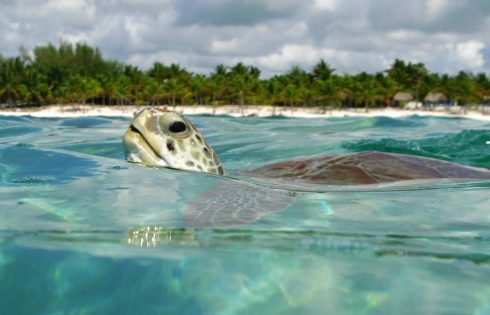 Akumal in the Maya language means turtle land and is an important habitat for these marine species. When diving or snorkeling are practiced at this place you can observe these animals. During the spawning season, the turtles come out to the beach to lay their eggs, this is a unique sight not to be missed. In addition, Akumal is the ideal place for lovers of tranquility and pace with its quiet beaches and an atmosphere of total relaxation. If you have not visited this place yet but, you have heard of it and its turtles, do not think twice and dare to meet it. You will not regret doing it. 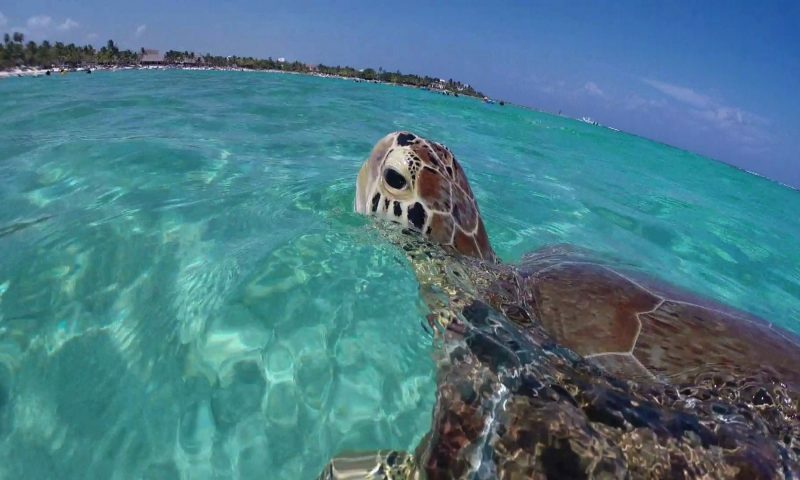 At the pier there are excursions that are offered to the visitor to swim with the turtles. 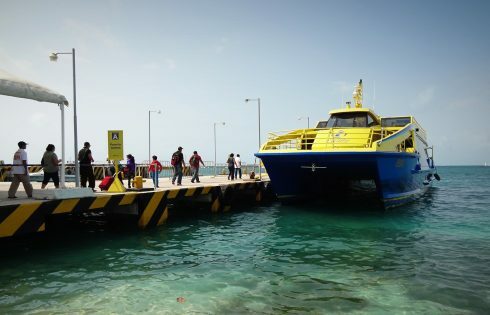 Or if you prefer to do it on your own, you just have to wear your life jacket and your snorkel gear, and swim about 100 meters offshore that is where the turtles are. 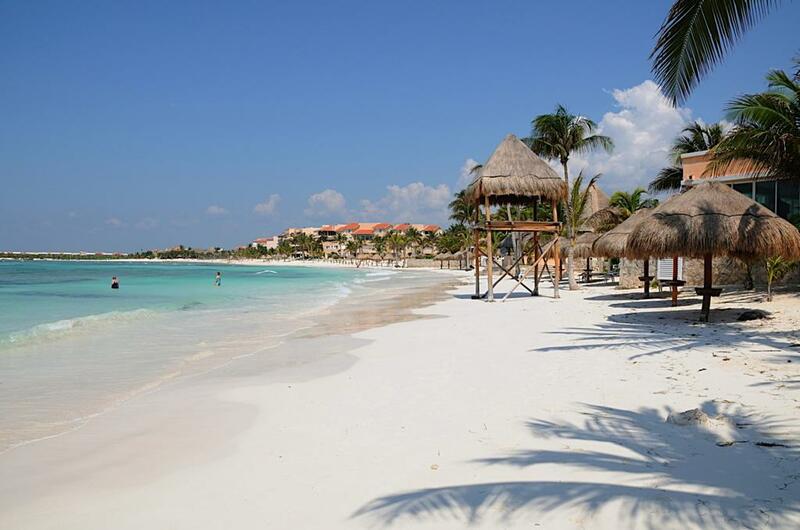 To get to this place you can do it either from Cancun or Playa del Carmen at the bus terminal or you can rent a car. There are companies that offer private transportation for groups or families. 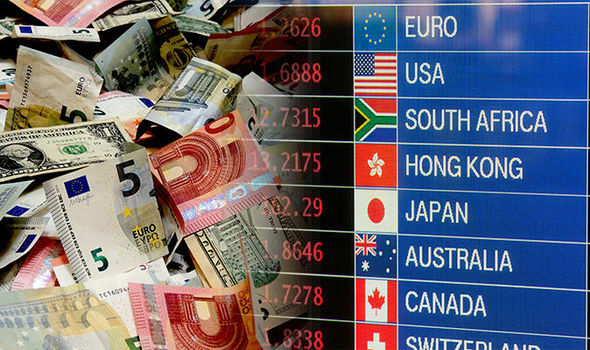 One of them is Canada Transfers which is very well known and reliable.